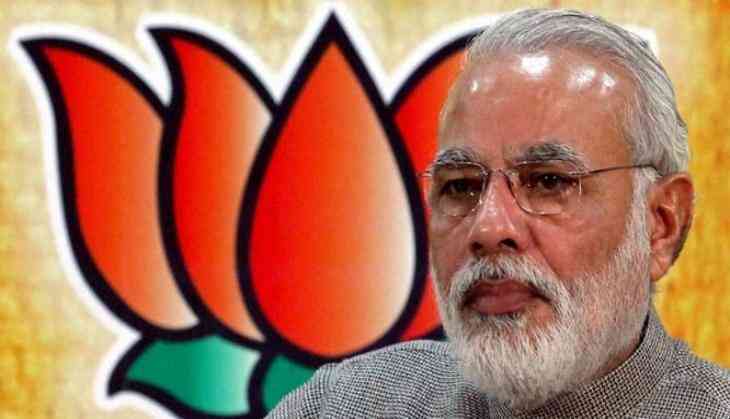 Making a strong pitch for the Citizenship (Amendment) Bill, Prime Minister Narendra Modi said Sunday his government would stand with the children of "Maa Bharti" who have faced persecution in Pakistan, Afghanistan and Bangladesh. Addressing a rally in Vijaypur in Jammu region, PM Modi said "there are many children of Maa Bharti who have faced persecution in Pakistan, Afghanistan and Bangladesh...We will stand with those who were part of India at one time, but got separated from us" due to the Partition in 1947. "The previous governments had the tendency to ignore the necessities and sentiments of the country. You are well aware of that. Take Kartarpur corridor issue for instance. Had they paid attention, then the land of Guru Nanak Dev would have been a part of India," PM Modi said, referring to the Gurdwara Darbar Sahib in Kartarpur in Pakistan where Sikhism founder Guru Nanak had settled. PM Modi addressed public meetings in Leh and Vijaypur in Jammu, after inaugurating several development projects in Jammu and Kashmir. "They had to leave their homeland, the pain that they had to undergo, I have never said this but their pain is within me too," PM Modi said.